For Dr. Elisa Nakano, the prospect of joining Project Phoenix is a double-edged sword. The secret experiment crosses the line between life and death by resurrecting someone from a fatal accident. 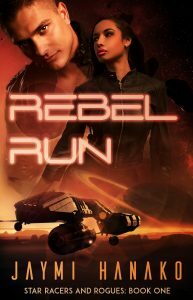 In this case, the patient is the man who broke her heart: asteroid racing ace Dante Goshawk. She’ll work to restore him to life, but is determined to keep her distance. He’s her patient now. Nothing more. Asteroid racing was a young man's game. A single man's game. Dante Goshawk wanted to avoid attachments at all costs, so when his passionate affair with a brilliant scientist became too intense, he broke it off. Now that he's back from the dead, he realizes the woman he pushed away is the only one he’s ever loved. But Elisa isn't so eager to give him another chance. The clock is ticking on Dante’s recovery. A new experiment, an android pilot designed for the asteroid racing circuit, needs his memories and his consciousness to make it complete. And some are willing to kill--again--to make the technological leap a reality. The public transport was exploding in shades of red and pink for Valentine’s Day. Everywhere that Elisa Nakano looked, happy couples cuddled together as close as they could physically get. Her throat tightened and she forced herself to look at the pages of figures and other reports from her work. Science was her life. It was logical. It was free of emotion. It was her sanctuary from heartbreak. And it wasn’t working one damn bit today. She let her gaze wander away from her fellow passengers, to the row of ever-changing advertisements flashing in a bar near the roof of the transport. One image in particular made her catch her breath and intensified the pain in her heart. It was Dante “The Ghost Raptor” Goshawk. Six months after he had been killed during an asteroid belt race, he remained the featured face of the racing circuit’s promotions. It was almost as if he had become a real ghost, haunting her with memories of what had been, and now could never be. Not that there had been the possibility of a future between them, even before he died. She had to remember that. But that didn’t make the pain any easier to bear. Because Elisa couldn’t escape the horrible conviction that it was her fault that he was dead. She still remembered the exact words he had used on that fateful night, telling her that she was becoming a distraction, and that distractions were lethal. Elisa nearly missed her stop and had to scramble to gather her things, just managing to jump through the door before it closed. The main building of the Universal Earth Labs was less than a block away from the transit point, surrounded by a concrete wall topped by barbed wire. Elisa’s older sister had often said that it looked more like a prison than a research facility. She pulled on her lab coat, straightening the lapels for a moment before pulling her access card out of one of the pockets. It was early enough in the morning that the guard house wasn’t manned by a human, so she inserted the card into the automated slot herself. The lab director’s office was on the very top level of the building, only accessed by one of the private elevators. There was no call button; it could only be summoned to the ground floor by a set of controls embedded in the reception desk. The door slid open and the ride to the upper level took almost no time at all. It was like stepping into another world. The walls were all glass, showing off a panoramic view of nearly the entire city. Elisa had never been to these upper levels before. She had known the lab’s position atop the side of a mountain would raise it above many of the skyscrapers down at sea level, but had never realized that they were high enough for a perspective like this. None of the ordinary workstations below had anything like this. Even the supervisor of the lower labs had only the employee parking lot outside his single, small window. She didn’t recognize the exact species of exotic wood beneath her feet, but its quality was unmistakable. As was the richness of the rest of the furnishings. Fine figurines were scattered about the room like nothing more than common knick-knacks. Even the director’s secretary looked out of place, her formal attire more suited to some fancy gala than a medical facility. Another set of massive wooden doors opened and she was ushered into the director’s private space. Elisa looked at Viktor, but he refused to meet her eyes. This was awkward, to say the least, after what she had just overheard. The strangeness of the situation was almost enough to distract her from the shock of excitement that ran through her at those last two words. 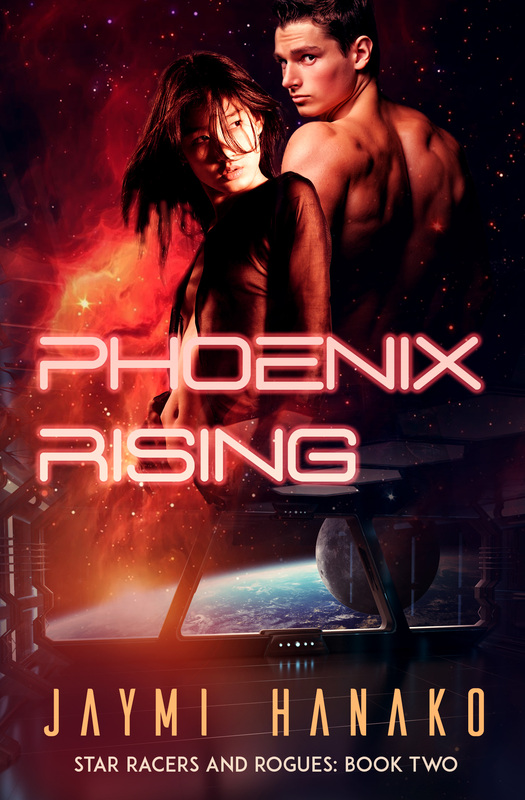 For many in the lower labs, Project Phoenix was barely more than a rumor. So secret that some of them were convinced it could not possibly exist. There were also rumors that it might even be a little on the illegal side, but it was clear that particular bit of gossip had been false. The director would never assign his only son to do something that could get him into trouble with the law. Or so Elisa had to assume. The older man tapped his fingers against the top of his desk. Embedded into the smooth surface was a console with an optical keyboard. In moments, a low tone sounded on Elisa’s personal assistant, announcing the download of a massive file. She opened it and two words immediately jumped out at her. She blinked several times, certain that she had to be seeing things. Dante had been on her mind so much lately that his memory was affecting her thoughts, even while at work. But it wasn’t just a figment of her imagination. That really was his name on file. More than that, the outline of the project’s objective contained something even more startling. It seemed that, despite the reports that there had been no body recovered from his crash site, some part of him must’ve been found in order to be the basis of this experiment. To bring him back from the dead. No wonder this project was so secret. Extending human life was one thing, and something that these labs were particularly renowned for. Crossing the line of bringing someone back from death was in that hazy gray area of morality most scientists could not—and would not—enter. Not without extensive and explicit consent from many levels. “You’re saying that right now it’s a matter of making the brain connect to the rest of his body.” Somehow. If she chose to take this on. The secretary returned to the room, wheeling in a large cart. Besides the coffee, there were a variety of exotic and decadent-looking pastries. Elisa’s stomach was in knots so she refused it all. Viktor took a large cup, adding in what looked like cream, but the sharp scent that filled the air when it hit the hot liquid indicated that it was something far less innocent. She couldn’t believe that he would be drinking alcohol on the job, even in this subtle way. But his father showed no signs of noticing what he was doing. She forced herself to focus her full attention on her boss once more. Elisa’s face heated. Despite the professional words, the sneering contempt beneath them was hard to miss. Not that his reaction should have surprised her. She had always known how the social studies were viewed by those who specialized in the ‘hard’ sciences. It was considered a much lesser path, hardly worthy of serious study. And though Mr. Anderson did not have a higher-level degree in any of the sciences, their family had been in charge of this medical research for three generations. A prejudice against the social sciences could be something he had learned at home. What she had wanted for her life had never mattered. She’d once wanted to be a pilot too, having a fascination with starships since she had taken a trip to the Mars colony as a young girl. But she had no talent for the mathematics required for engineering, and her parents would have disowned her if she’d chosen to learn to fly. Just as they’d disowned her sister. Not that she was unhappy with this career. Not on most days. She did get a certain satisfaction in finding ways to treat patients whose medical afflictions might otherwise have been considered incurable. And he had still decided to assign her to this? It wasn’t explicitly forbidden for a doctor to treat a former lover. The code of conduct only specified limitations on physicians treating ‘immediate family members.’ It was frowned upon, but had never been outlawed. It fell into another moral gray zone, one Elisa was even less certain that she was comfortable entering. Never mind the awkwardness of having to work with Viktor. She wondered if he’d told his father about her relationship with Dante in an attempt to leave the project. It couldn’t have been something he was comfortable with, considering the history between herself and Viktor. Short for phoenix? That would have to mean that this project had been in the works since the opening of this location. She knew that the labeling could be changed, but it wouldn’t have been an easy thing to do. Did that mean that there had been a previous patient in the project? Dante had been dead only six months. It seemed most likely that they had tried to do this with someone before. The doors slid open to reveal a surprisingly massive space. Easily the size of the entire floor that Elisa had previously worked on. Unlike the labs that were normally used by junior scientists, this did not have the partitions to divide the space into tiny little workstations. It was well-lit and at intervals, the walls contained mock windows to hide the fact that it was underneath the ground. They were not doing a very good job of that. The hologram screens showed natural scenes that would have been completely out of place with the building’s actual surroundings. Images alternating between a tropical jungle and a harsh desert. They reminded Elisa of the distraction screens that her older sister had told her about. Panels embedded into the walls of the ships designated for longer space voyages, as a way to help both crew and passengers to forget, if only for a moment, that they were floating in the cosmos rather than on a planet’s surface. It was entirely possible that these windows were old surplus, scavenged from those ships that were no longer deemed worthy of service. Regardless, it was a strange and nonsensical addition to the otherwise austere workplace. Then her attention was directed toward the center of the room and everything else faded into insignificance. A cylinder of glass stood from floor to ceiling, and enclosed within it was a man. Though she’d known that he would be there, thanks to the reports, to actually see him again was something else. Her heart felt like it stopped beating and she didn’t realize that she’d also held her breath until her lungs began to burn and she was forced to take in great gulps of air. She would not cry. She would not cry. She. Would. Not. Cry. She had to be calm. Professional. Especially since she could feel Viktor staring at her. Intently studying her every move. Every flicker of emotion.